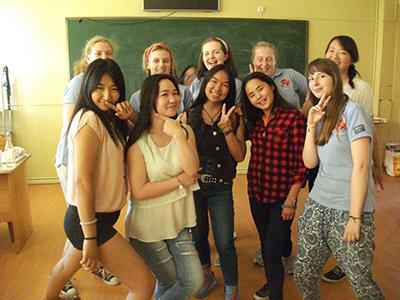 In July of 2016, a group a 6 Girl Guides from Warwickshire County were selected to join 2 leaders on a Care & Teaching project in Ulaanbaatar, Mongolia. 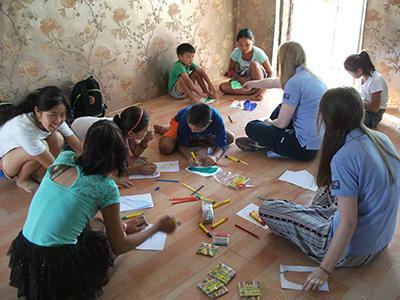 During their project they split their time so that their mornings were spent working in the Child Smile Day Care Centre helping vulnerable children from the surrounding Gers. They got involved with various activities such as story-telling, singing, dancing, arts & crafts and games. As the day care centre was still being built, they also got involved with a small amount of construction work to ensure that their participation will live on in that centre for years to come. The afternoons were then spent helping to improve the English of 16-18 year old children in a local school through a variety of lessons. The group had also had word about two families in the ger district area nearby who were struggling and had very little food to eat due to family situations. They decided to pay them a visit and bring with them a variety of supplies and food to keep the family and children going. During their trip, they also had the opportunity to spend one of their days with a Girl Guiding group from the city at Nairamdal Camp. Both groups got involved with various activities to learn more about each other’s culture and how Girl Guiding works in their countries. On their weekend days, the group got to visit various tourist spots around the city including the Russian Zaisan Memorial and the Chinggis Khan Statue. They also had the opportunity to visit the Bogd Khan museum, enjoy some traditional Mongolian songs and dances, as well as spending a day and night in a ger camp in the Terelj National Park. 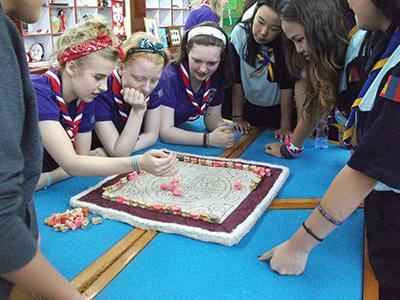 "When I take groups of Girl Guides abroad, I want to give them the opportunity to visit countries that are outside their comfort zone, and not the ones they would normally go to on family holidays. Mongolia ticked all of these boxes. The people are among the most gentle I have ever experienced in all my years of traveling. They believe in an affinity with nature and not disturbing the harmony of life. By the time we came to the end of our placement, it was literally tears all round, even from all the adults. The connections we had made with everyone there were tangible and so rewarding. Moreover, that was without the aid of much shared language! From the very first day, our support quite literally could not have been better. 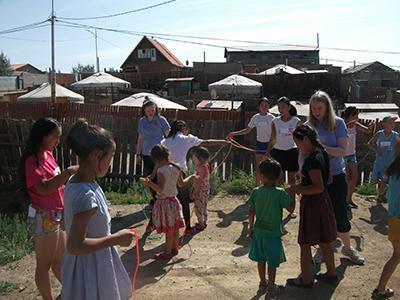 Our main Projects Abroad Mongolia contact and our two other support staff, did quite literally absolutely everything they could to make our stay easy, enjoyable, stimulating and any other adjective you can think of! They were wonderful, we could not have asked for more. Would I do it again? Tomorrow, without a second thought!" "This project has really taught me the value of education. I brought with me ideas about what it would be like but I never expected it to be as enjoyable as it was." 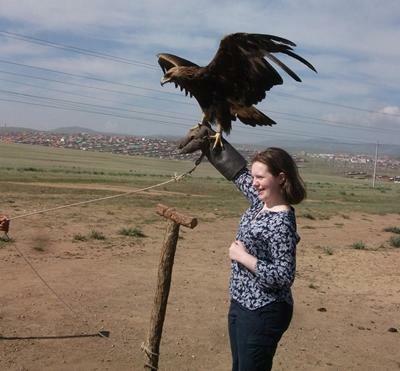 "Mongolia was an absolutely amazing experience that I will treasure forever. You never realise how precious a project like this one at the Care Centre is until you get the chance to be a part of it. It's very special to see that what you are doing is having such a positive impact on children's lives. 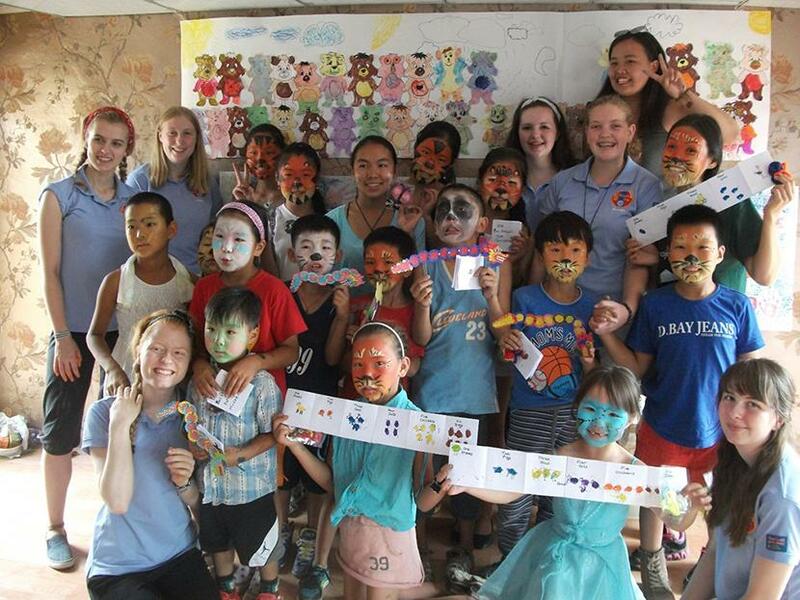 Thanks go to Projects Abroad and all their staff for helping us whilst we were there." "I feel that the Care Project has made me more confident in speaking in front of people and that the bonds made between us and the children are everlasting." "I have really treasured my time with Projects Abroad. Working with the children and staff I feel has made a big impact of good on me and the community. It has boosted my confidence and self-belief as well as wanting to help vulnerable people in other communities." 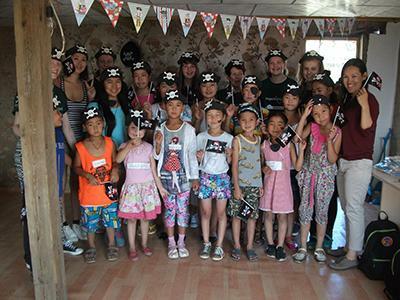 "My time in Mongolia has been an amazing experience and not only has it benefitted the children at the Care Project it has benefitted me as a person. The simple privileges we take for granted, such as sterile water in our homes, are only truly appreciated after seeing the journey some children take in the heat just for water. I have made friendships and memories that will last a lifetime." For more information about Mongolia, please click here. 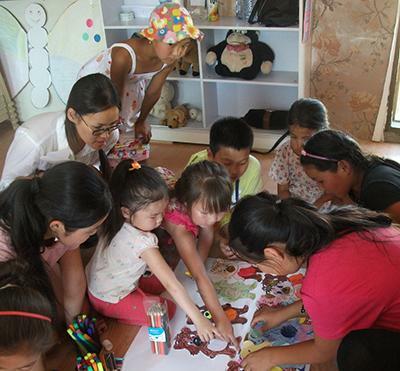 For more information about our Care project in Mongolia, please click here.